[Rumor] The Italian site bitsandchips.it has posted something quite radical today. Citing inside sources, the website claims that the FM2+ socket is sticking around till 2016,and we won’t be seeing DDR4 Support on desktop till the same time. It also claimed that we will not be getting a post Bulldozer architecture till 2016. Needless to say a pinch of salt is a must here. AMD’s FM3+ Socket in 2016. New Post Bulldozer/SMT Architecture in 2016. 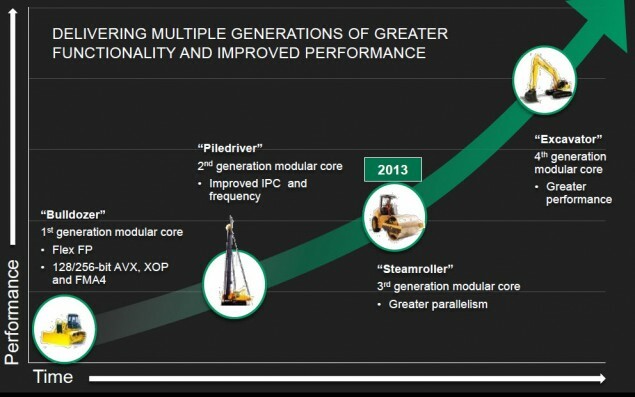 No DDR4 Support in Desktop Processors till 2016. It then goes further into speculation, clearly marking it so, and saying that Carrizo may not arrive in the desktop sector till 2016 and it might be released instead on the FP4 BGA Socket. Now we had leaks that previously stated that Carrizo APU will have DDR4 support, and we also had reliable information from CPU-World that Carrizo is going to come in a FP4 BGA Socket. Now Excavator is a revision of Bulldozer so we should be seeing that in this time frame of 1.5 years. After which, the alleged shift from CMT to SMT is scheduled (and therefore a completely new architecture will arrive). Consider the fact that we have only ever heard about the Carrizo APU for the notebook platform and this report starts to make some serious sense.